In this day and age, our pets have become increasingly pampered as the younger generation raise them as surrogate children. It is quite understandable – costs of living have skyrocketed to insane heights, and raising children is a lifelong commitment the youngest adult generation isn’t quite sure they are capable of handling. By comparison, pets like dogs and cats are much easier to raise with their much simpler needs and wants. This has resulted in some good things – for one, the standard of pet food and equipment has increased, due to a demand for better things for our beloved pets. Animals are better cared for now, too, since they are viewed more like family rather than just property with no emotions. It seems that such an attitude hasn’t completely vanished in this modern day and age, however. Recently, a piece of heartbreaking news about a man from Indiana and his dogs have been circulating on the internet. When you are a vet, your main job is to handle animals that are sick or suffering, and your goal is to make them better if you can. It is either that, or – with the owner’s permission and forthright discussion beforehand – you would quietly put the poor animal out of its misery. So when this man walked into a veterinarian with a pair of healthy (albeit senior) dogs, you would assume that all he wanted to do was give these old boys a health checkup. It is quite important to do, especially when pups are as old as this pair. 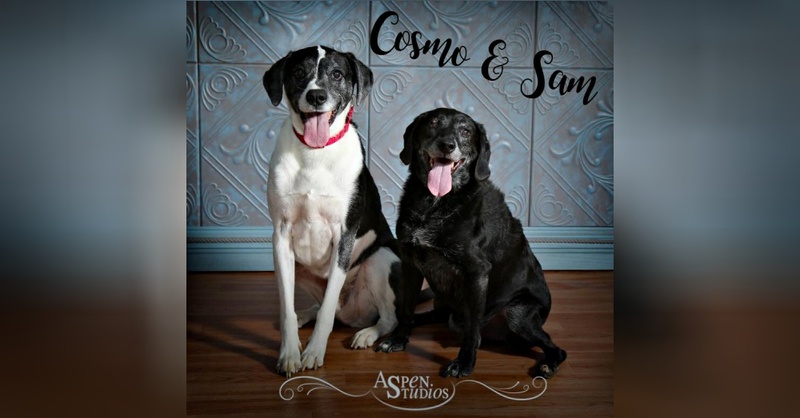 Although already about 10 years old, Cosmo the Labrador Retriever mix and Sam the Pointer were both doing pretty well, and were perfectly healthy – which served only to make what was to come worse. 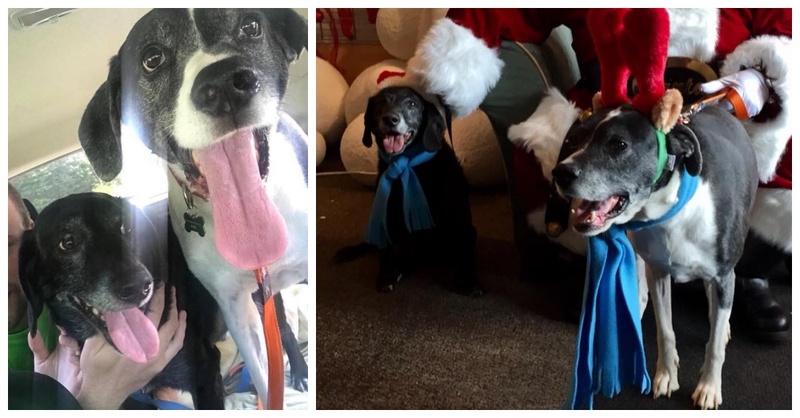 To the vets’ shock and horror, the man wanted to have these sweet, healthy, loving senior dogs euthanized. He was planning to move in with his girlfriend, who was suffering from a dog allergy. 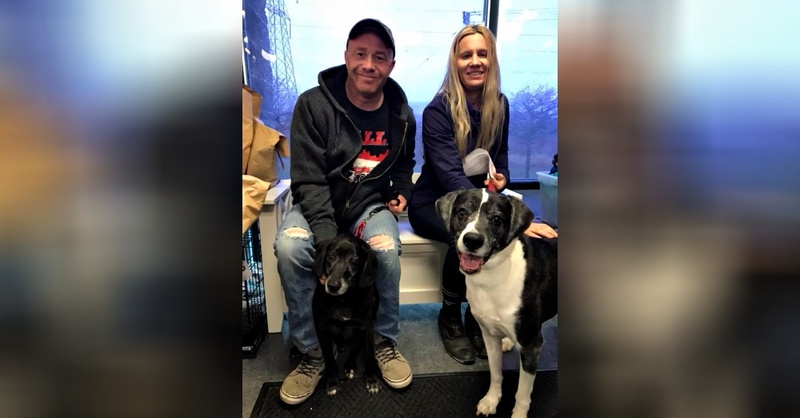 Instead of attempting to rehome them or surrendering the dogs to a shelter so they could find another family that will take them, he decided that convenience euthanasia was the solution. It is always a shame when one’s change of life plans means that you can no longer keep your pets with you. 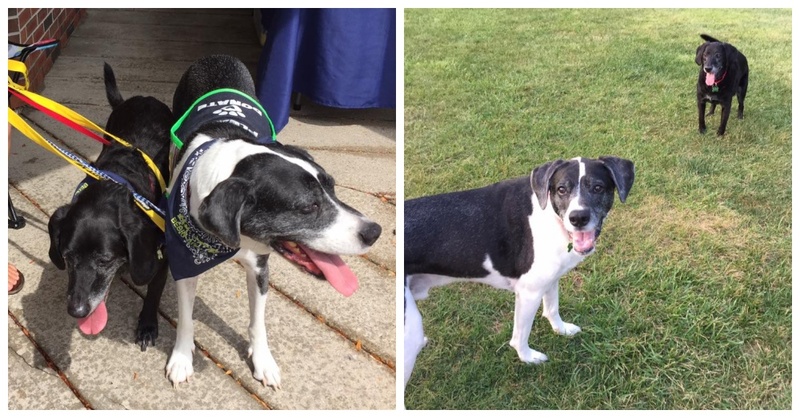 It is clear these dogs were truly beloved by their previous owner, considering they were both well-trained and socialised, on top of having lived long, healthy lives up to this point. We won’t ever know exactly why the man thought this was the right idea, but it was likely a decision that wasn’t taken lightly. Luckily for these dogs, the staff of the veterinarian decided against putting down these canine companions. Instead, they transferred the care of these dogs over to Begin Again Rescue, who took them in and then opened them up for adoption. 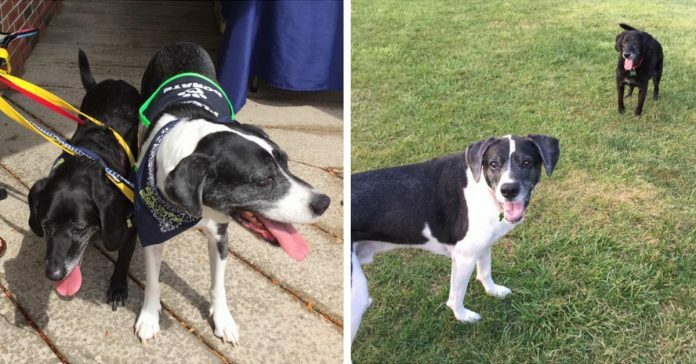 Finding a forever home for the two was shaping up to be a difficult task, since these dogs were both old and already bonded. Luckily, the two have since been adopted by Eric and Tiffany Dybas, and these pups are now living out the best time of their life in luxury!